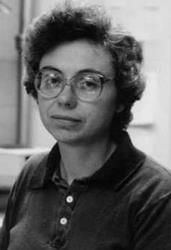 Lorella M. Jones, professor of physics and director of the Computer-based Education Research Laboratory (CERL) at the University of Illinois at Urbana-Champaign, died on February 9, 1995, at the age of 51. Her research career in theoretical high-energy physics was focused on four key areas: Regge pole theory, phenomenological models of photomeson production, jet calculus in quantum chromodynamics (QCD), and use of Grassmann coordinates to describe internal symmetries. Her predoctoral work, carried out under the guidance of Steven Frautschi at the California Institute of Technology, concerned the effects of kinematic suppression factors in Regge pole descriptions of scattering amplitudes. She pointed out important consequences of unequal mass kinematics that serve to weaken expected pole contributions and that create observable dips in cross sections. By use of crossing relations, she also demonstrated how bootstrapping trajectories could be ruled out in certain dual models of elastic processes. After coming to Illinois, she explored photoproduction of excited mesons with H.W. Wyld. She investigated the reality of the A1 state through careful partial wave analysis of the reaction and confirmed the existence of that axial meson via the so-called Deck mechanism. This led her to work out the consequences of hadronic charm production through a "gluon fusion" model and to predict the main features of bound quark-antiquark production, particularly the energy dependence. A large review on the relevance and dominance of pion exchange followed. Her next foray was in the realm of partons and QCD. In collaboration with Migneron and others, she was able to develop equations for the jet calculus of partons, where the effective propagators evolved down rather than up, as in the Altarelli-Parisi scheme. She subsequently simulated jets through Monte Carlo methods, showing how QCD cascades from quarks and gluons can, in principle, be distinguished. She further succeeded in classifying jets via the longitudinal correlations between hard particles emitted in the hadronic jets. Finally, she became interested in the use of hidden Grassmann variables for understanding and classifying particle symmetries. In work with Delbourgo and White, she completely solved the anharmonic Grassmann oscillator, which is the fermionic analogue of the ordinary anharmonic oscillator. She went on to develop Dirac-like equations of motion, which included the Grassmann variables in a fundamental way, and obtained quantized mass spectra, demonstrating the usefulness of such ideas. Professor Jones was a dedicated and innovative teacher who was particularly interested in the application of computers to physics education. In 1985, she pioneered the use of computerized quizzes for a large elementary physics course at Illinois, one of the earliest developments of its kind, nationwide. Recently, she collaborated in the development of computer lessons, incorporating digitized video of lecture demonstrations. She also initiated a project to develop materials and curricula to introduce physics in the local elementary schools. In addition to her work in physics, Professor Jones was a gardener and kayak enthusiast. She spent hours at her garden plot in Meadowbrook Park south of Urbana, where she grew far more vegetables than she could consume, to the benefit and delight of students and colleagues. For many years she continued a family tradition and spent a summer month on her island in Lake Vermillion, near Lake of the Woods in northern Minnesota. Conversations in the fall were always enlivened by tales of life in the wilds, and techniques for rebuilding the dock and cabin. Professor Jones was a true pioneer. Not only was she the first woman to attain tenure and a full professorship in physics at Illinois, but through her writings and talks, she championed the cause of women in physics. She served as an inspiration and role model for the generations of women physicists who followed her.